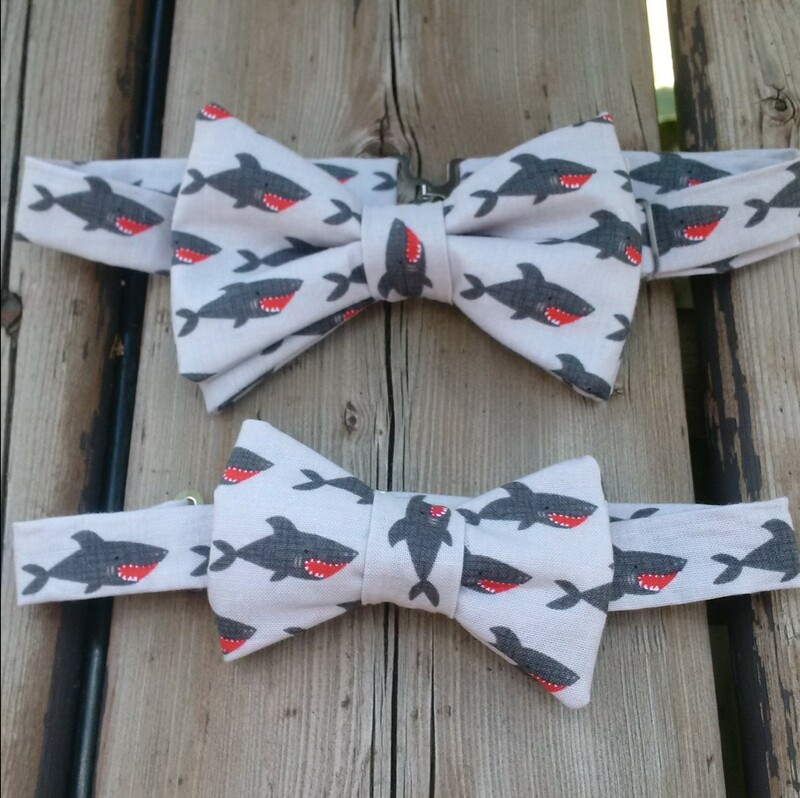 What a sweet little bow tie! 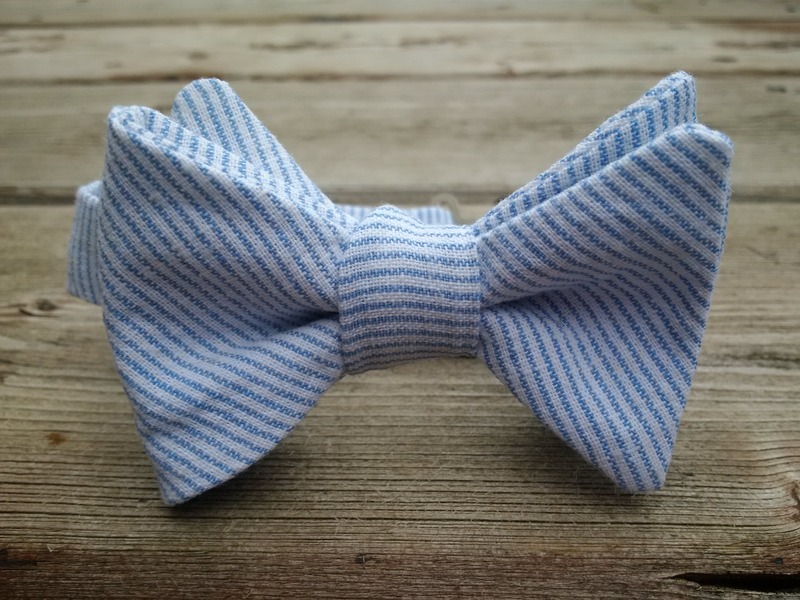 Handcrafted out of a blue and white cotton stripe, this tie is perfect for spring/summer. 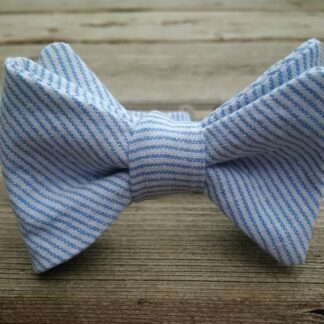 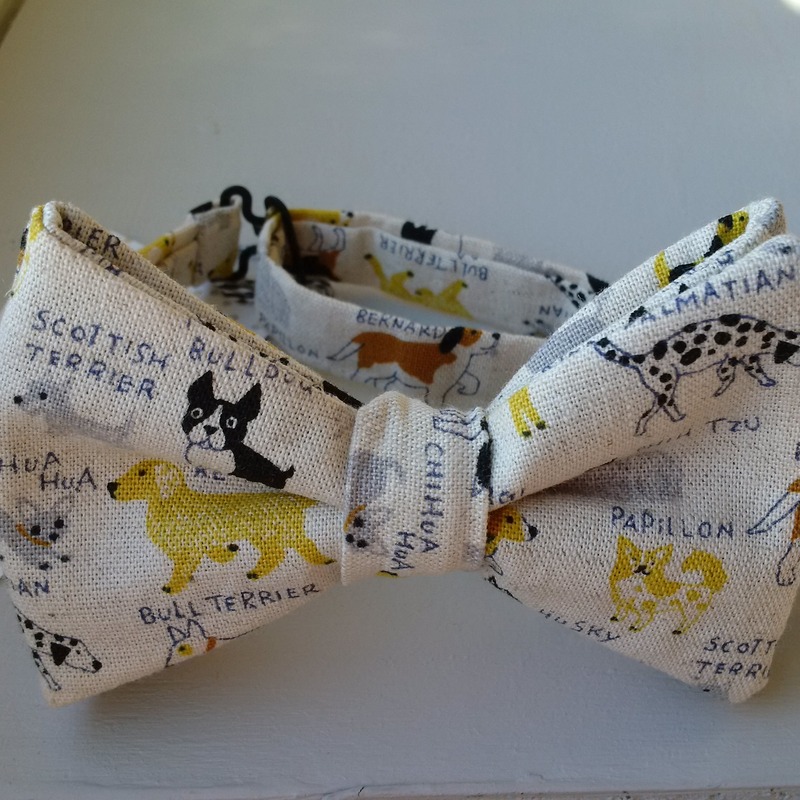 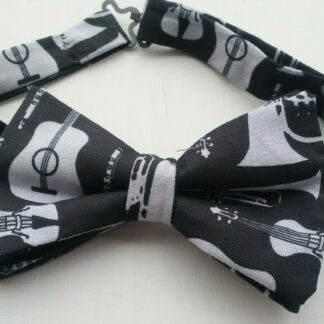 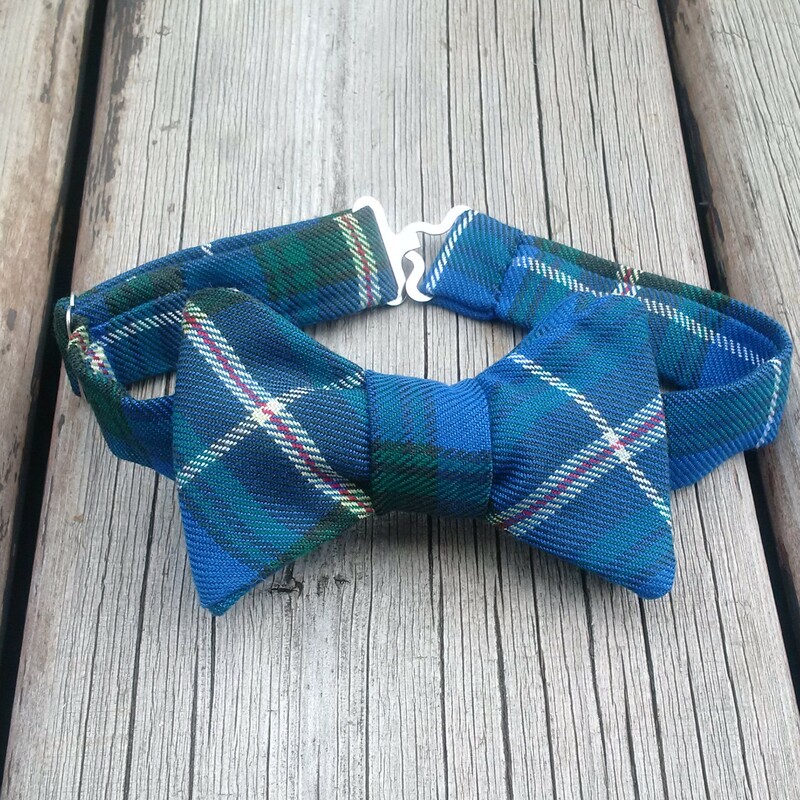 Available in baby/children size, as well as adult sizes and doggy bow ties. 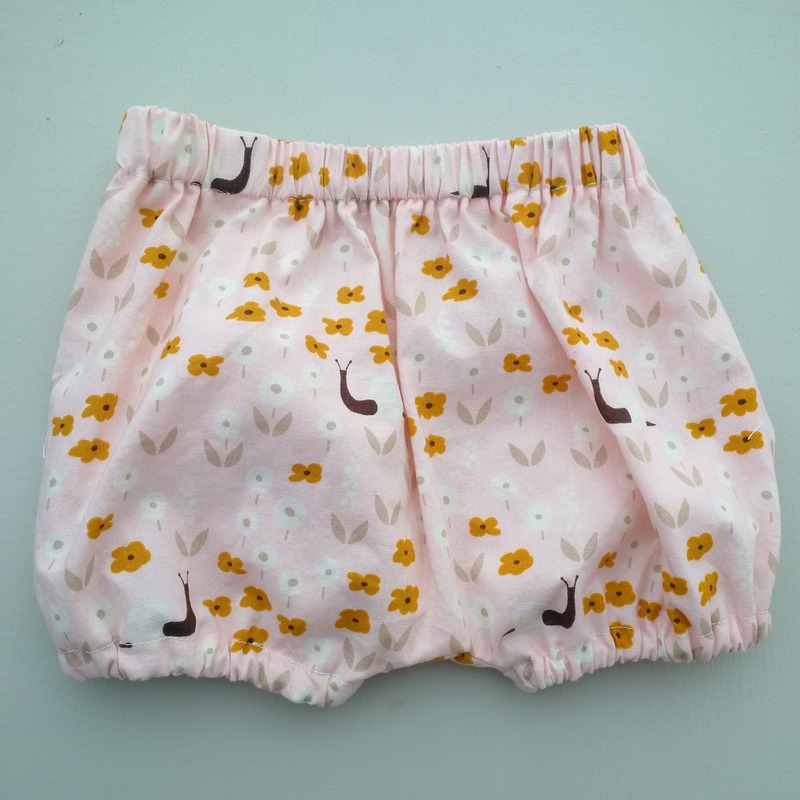 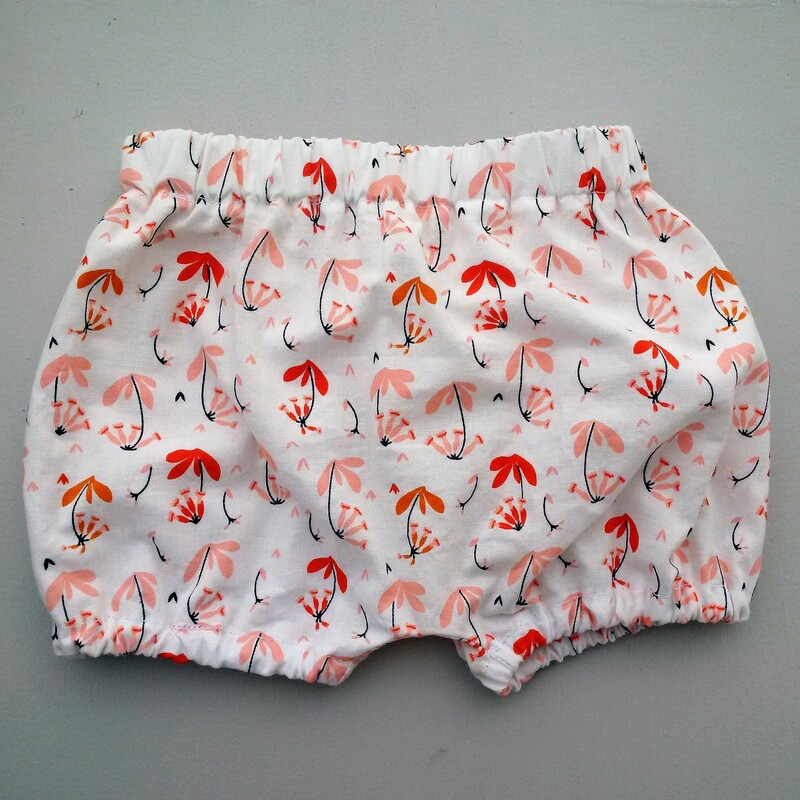 Pair it with our matching bloomers. 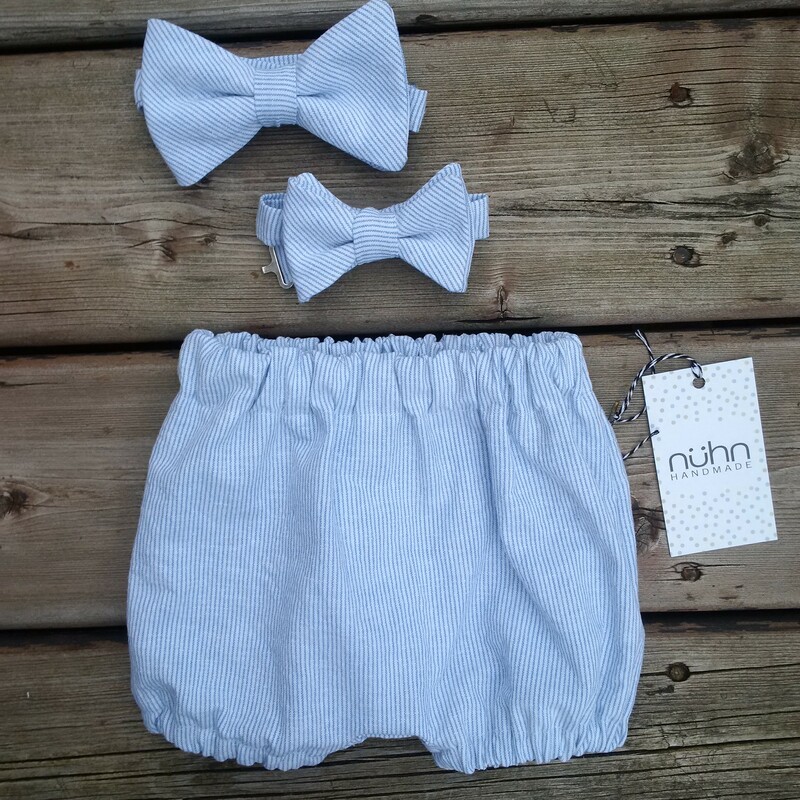 Great for photo sessions. 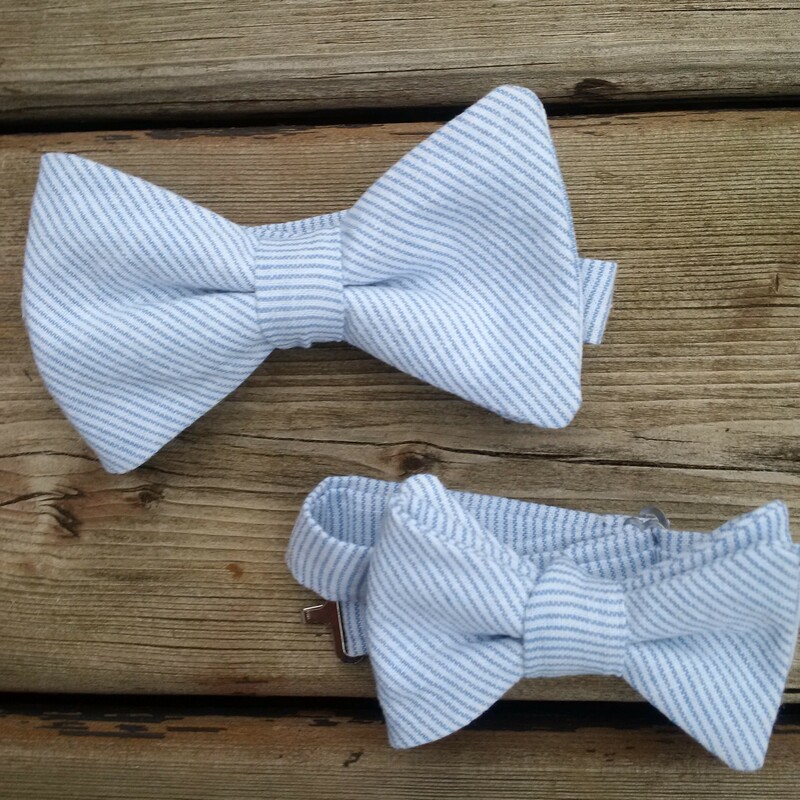 And don’t forget our “daddy and me” sets!